Are Health Insurance Premiums Higher for Small Firms? Reviews research on how health insurance costs differ between small and large firms, how firm size affects administrative costs and offer rates, and how state mandates, purchase pools, and other factors affect overall costs. Considers policy implications. 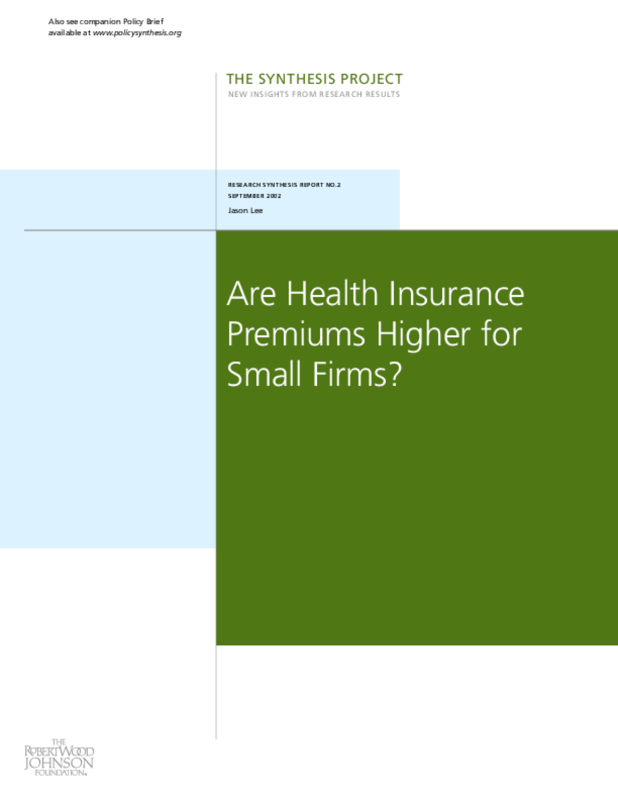 Title: Are Health Insurance Premiums Higher for Small Firms?